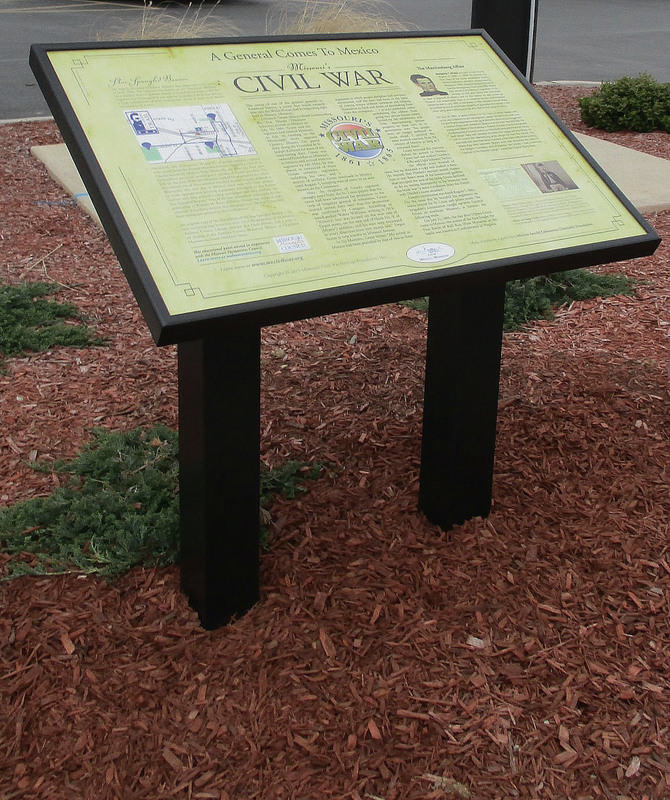 Missouri’s Civil War Heritage Foundation, in cooperation with the Missouri Humanities Council, is pleased to announce the dedication of six educational panels that commemorate important events and landmarks in Civil War history. The panels are funded by local trusts, government agencies and businesses, supplemented by a generous grant by the Missouri Humanities Council. Mexico, Missouri, dedicates two panels on April 12, 2016. One is located at Mexico’s historic cemetery, Elmwood, and it chronicles the lives of Civil War veterans – who fought for the North and the South – who are buried there. Most prominently depicted in the panel is the man known as the “Hanging Judge of Andersonville,” a Union soldier who judged fellow Union prisoners at the infamous prison in Georgia. Also of interest are the graves of the Pindall brothers, Confederate combat veterans who achieved fame and fortune in post-war Arkansas. A second panel to be dedicated pays tribute to General Ulysses Grant, who maintained headquarters in Mexico for two eventful weeks in 1861. 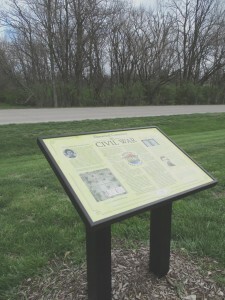 The site of Grant’s headquarters tent (located not far from the location of the panel) has been located and is described in the panel. The panel also describes a Union camp newspaper that was published by Illinois men of the 8th Missouri Volunteer Infantry on July 19, 1861, the day before Colonel U. S. Grant arrived in Mexico to take command. The dedication of the Elmwood Cemetery panel will commence at 4:00 at the main gate of the cemetery on West Liberty Street. At 4:45, there will be a ceremony at the location of the second panel, “A General Comes to Mexico,” at Moser’s supermarket, 1101 W. Monroe Street. Hannibal, Missouri, will dedicate a panel devoted to the Civil War veterans interred at Hannibal’s historic Old Baptist Cemetery.